Decorate your yard or garden with these great giant chess pieces. Giant garden chess sets offer the perfect form of entertainment for garden parties, family fun or even teaching people to play chess. It’s easy to use and very unique for outdoor decoration. Paint in brown or natural wood color with glossy touch, add its elegant touch. 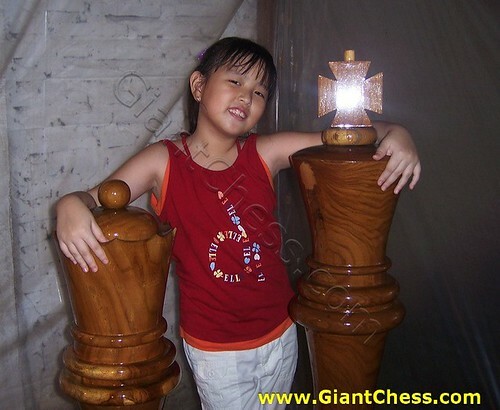 Suitable for all ages who want to play chess game, both expert and beginner.